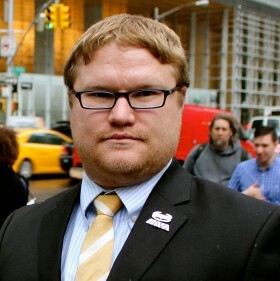 My name is Jason Hansman, an Iraq veteran and the Director of External Program Relations at Iraq and Afghanistan Veterans of America (IAVA). On behalf our NYC membership, I would like to extend our gratitude for the opportunity to share our thoughts on the role of the Mayor’s Office of Veterans Affairs (MOVA) in serving this city’s veterans. IAVA is the only major veteran service organization headquartered here in NYC and boasts a membership of more than 10,000 veterans in the New York City area. Given our close ties to NYC we’d like to see it as the leading city on veteran’s issues. However, to be this national leader we need a city level agency supporting veterans that is highly effective with clear priorities and goals. For a full video of the hearing, click here. We want to begin by thanking Commissioner Sutton for her hard work and dedication over the past eight months. She has been front and center at veterans events across the city and has met with many veterans groups, including IAVA, in her first months in office. We are also encouraged to see Commissioner Sutton identifying her office’s priorities – mental health, homelessness and veteran entrepreneurship. At the same time it is clear that this office is ill equipped to handle the breadth and depth of the issues veterans face in this city given its current staff size and budget. Currently there are over 230,000 veterans that reside in NYC – and in a city budget of over $60 billion we only allocate $600,000 to veterans services. That’s just $2.50 per veteran in the city – to say nothing of military families. Currently the city of New York spends more on the Mayor’s Office of Film, Television and Broadcasting — approximately $1 million — than it does on veterans. Recently IAVA polled our NYC membership and what they told us overwhelmingly is that the city isn’t listening to them. Only 5% of survey respondents agreed or strongly agreed that the mayor is listening to our veterans and service members, and only 4% of veterans surveyed agreed that the mayor was improving the lives of veterans and service members. Our members are demanding more – more support and more resources… and more leadership from our mayor. It would be disingenuous and dishonest to say that we are leading the way here in NYC when it comes to veterans services. We only need to look north to the city of Boston where they spend $5.5 million on veterans services. And in San Francisco the mayor recently announced a two year $1.7 million city commitment to end veterans homelessness. Both these cities, and their mayors, have shown up to support veterans – while we in NYC are still waiting on ours. But this is not just about budgets – but about services. As of right now, especially with the elimination of benefits counselors from MOVA last year, MOVA provides no direct services. And while there are critical functions that can be played outside of direct services, this city and its veterans need the city to step up and provide critical services to our veterans. There would be no stronger message of support by our mayor and our city council than to establish a Department of Veterans Affairs for the city of New York, which is why we are here today to support this bill. There is no question that we have a long way to go for NYC to be the leading city in the country for veterans. 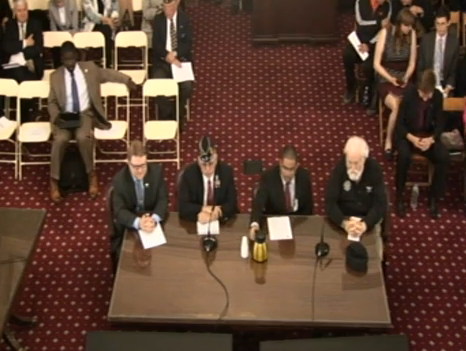 And to that end IAVA looks to be a resource for this committee and for MOVA. But we need MOVA and we need the mayor to take the lead. I thank the committee for their time and welcome any questions.